Pre-order: We are taking order now. Stock Status: Estimate stock arrived within 2 weeks. Need Storage? Store your precious metals with us! 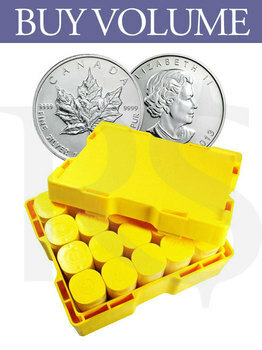 The Silver Maple Monster Box contains 500 pcs of 1 oz Maple Leaf coins. The coins are stacked in sets of 25 which are then placed into tubes of twenty coins each, the sum of which equals the 500 coins in the monster box. Silver Maples often demand premiums well over the spot price of silver. Investor demand together with varying production quantities can at times impulse a spike in maple prices. Generally the 'Royal Canadian Mint' mints several million of these coins per year. They are widely available from authorized dealers and can be easily stored for wealth protection or sold back to dealers given their high quality and recognized purity. 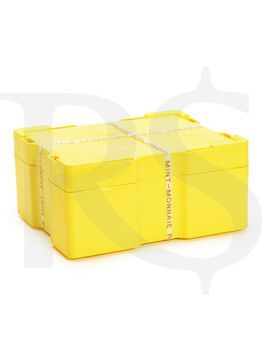 The Royal Canadian Mint's monster boxes are yellow in color, with a removable lid. The boxes are made from a hard and durable plastic that protects the coins during shipment. Unlike the green American Eagle, the yellow Monster box has the twenty tubes of coins aligned in a symmetrical layout of rows. There is no empty centerpiece like its US counterpart. The Monster box's dimensions are 245mm x 200mm x 120mm, and it weighs 17.213 kg. 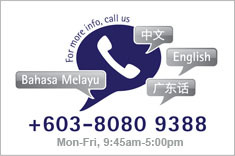 Contact us by calling at 03-8080 9388. Operation hours are Monday to Friday, from 9:45am to 4:30pm, excluding public holidays. Our friendly representative will guide you through. After locking the price and payment method, a non-refundable deposit of RM10,000 is required within 1 hour. A confirmation email will be sent to you once the payment is verified. For more details of our bank details, click here. For payment via cheque, our selling price will follow the spot price on the date of bank clearance. Please arrange the balance payment within the next 5 days. Estimated arrival of item is within 2 – 4 weeks. Please arrange self-collection at our office in IOI Boulevard, Puchong, Selangor within 7 days after receive email or SMS notification.